Cooper Lighting Metalux™ Collection Ovation Series Recessed direct/indirect luminaire in white enamel finish, features prime cold-rolled steel housing. It features heavy gauge end plates. It accommodates three 32-Watt T8 lamps. Lamp with electronic instant start ballast, has voltage rating of 120 - 277 Volt. 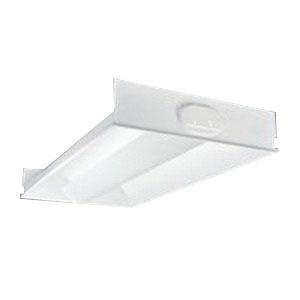 Ceiling mountable luminaire measures 48-Inch x 23-3/4-Inch x 6-Inch. It is suitable for drywall applications. Luminaire is UL/cUL listed.